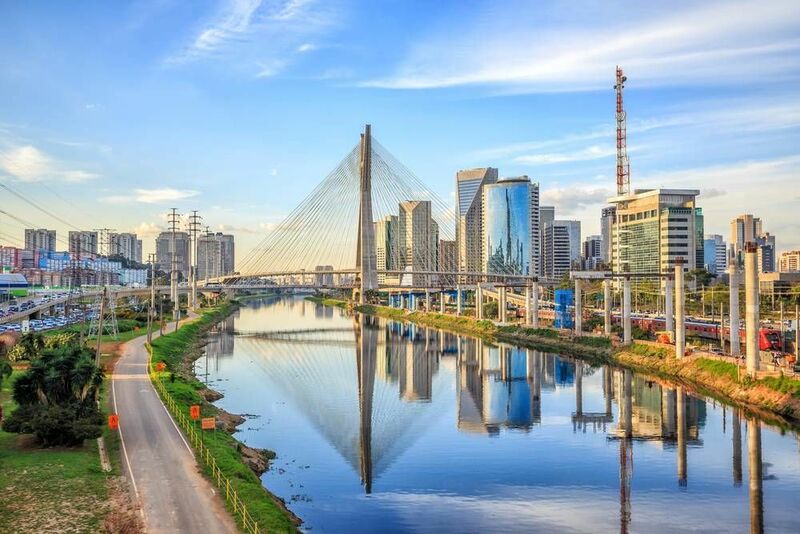 If you're looking for gorgeous beaches, wonderful people, and mouth-watering food, then Sao Paulo is the city for you Located along the south-east coast of Brazil, Sao Paolo is a colourful city bustling with life, history, and culture. If you want to see the luscious flora and fauna of Sao Paulo, a trip to Ibirapuera Park should be in order. The park features two square kilometres of nature in the middle of the city very much like Central Park in New York City. The park was opened in celebration of Sao Paulo's 400th anniversary in 1954. Within the borders of the park, you will find the Museum of Modern Art and the Museum of Contemporary Art. Another sight that should be relished is the Cathedral Metropolitana De Sao Paulo. The construction of this cathedral began in 1913 and was completed in time for the 400th anniversary of the city. This superstructure houses stain-glass windows, marble, Italian artefacts, and even the tombs of bishops and archbishops. Cathedral Metropolitana De Sao Paulo is located in the city centre and opens every day of the week. There are a variety of free walking tours in areas throughout the city. These tours are a great way for you to quickly learn about the city, its culture, and its history. Join one to see as many sights as you can in just a few hours! Below you can find more popular (but not free) activities and tours in Sao Paulo. Are you from Sao Paulo and want to be a tour guide? Please get in touch by submitting your details on this page!